Department of Cultural Affairs Media Center :: Media Bank :: Final Event Schedule Bosque Redondo Memorial Commemoration of 150th Anniversary of the Navajo Treaty of 1868 :: The Long Walk story told pictorially in quilts by Navajo artist Suzanne Hudson. Photos; NM Department of Cultural Affairs. 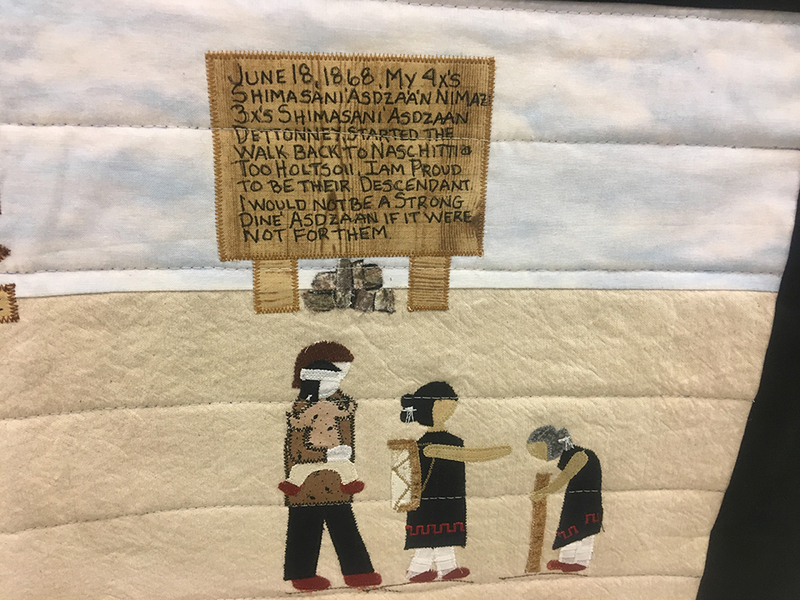 The Long Walk story told pictorially in quilts by Navajo artist Suzanne Hudson. Photos; NM Department of Cultural Affairs.